After working on the beacon projects back half a year ago, I was given a new task which is building a dashboard for displaying data collected from IoT devices. The IoT devices basically are GPS tracker with a few other additional sensors such as temperature and shaking detection. I’m new to IoT field, so I’m going to share in this article what I had learnt and challenges I faced in this project so that it would benefit to juniors who are going to do similar things. We plan to have the service to receive data from the IoT devices to be on Microsoft Azure. There will be thousands or even millions of the same devices deployed eventually, so choosing cloud platform to help us scaling up easily. We also need to store the data in order to display it on dashboard and reports for business use cases. In the documentation of the device protocol, there is a set of instructions as follows. First when device connects to server, module sends its IMEI as login request. IMEI is sent the same way as encoding barcode. First comes short identifying number of bytes written and then goes IMEI as text (bytes). After receiving IMEI, server should determine if it would accept data from this module. If yes server will reply to module 01 if not 00. I am not sure who wrote the documentation but I am certain that his English is not that easy to comprehend in the first read. Anyway, this is a good indication that Azure IoT Hub will be helpful because it provides secure and reliable C2D (Cloud-to-Device) and D2C communication with HTTP, AMQP, and MQTT support. However, when I further read the device documentation, I realized that the device could only send TCP packets over in a protocol the device manufacturer defined. In addition, the device doesn’t allow us to update its firmware at this moment, making it to send data using protocols accepted by Azure IoT Hub is impossible. There is a fierce discussion about this on Stack Overflow. Unfortunately, none of the respondents understood what the OP was trying to say. So, I have to say bye-bye to Azure IoT Hub and move on to build TCP Listener myself on Azure. There is a great code sample on how to build a TCP listener in C# to listen for connections from TCP network clients. So, where could we put this code at? 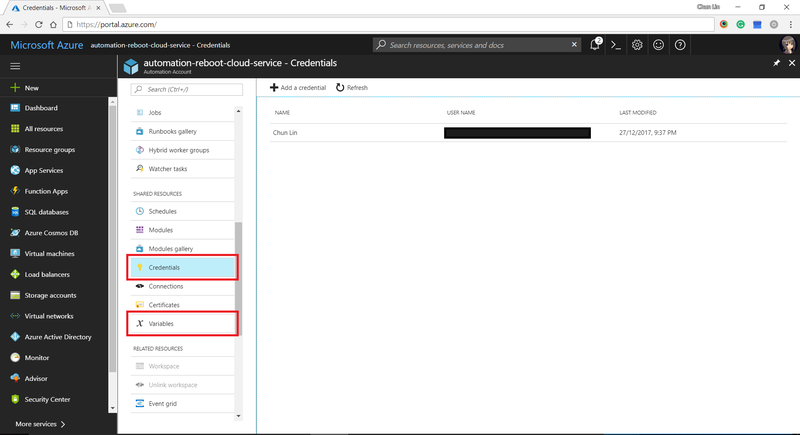 Could we use Azure App Service, such as Functions or Web Apps? Unfortunately, no. This is because only 80/TCP and 443/TCP are exposed publicly and the only protocol that works is HTTP. In addition, App Service is all IIS, the web server provides the entire platform, there is no room for long running processes or threads that can sit and wait for communication on another port outside of IIS. 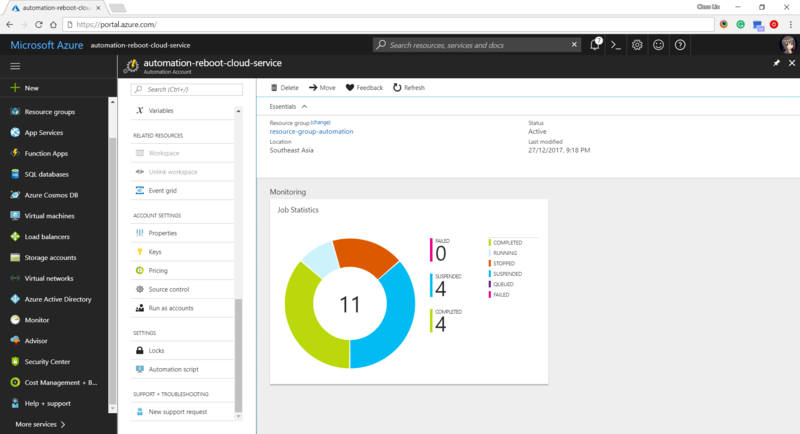 The only easy option we have now is to use Azure Cloud Service with Worker Role. Worker Role does not use IIS and it can run our app standalone. 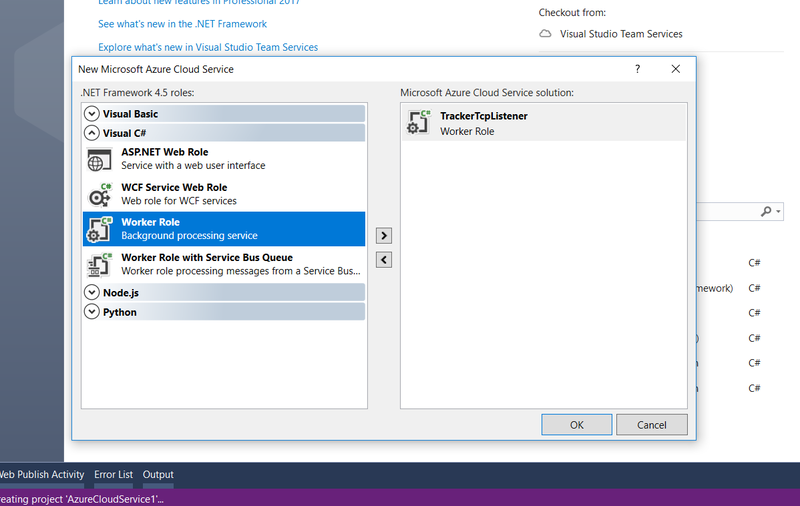 Creating a new Cloud Service project with one Worker Role on Visual Studio 2017. A default template of WorkerRole class will be provided. It’s obvious that the first method we are going to work on is the RunAsync method with a “TODO” comment. However, before that, we need to define an IP Endpoint for this TCP listener so that we can tell the IoT device to send the packets to the specified port on the IP address. Configuring Endpoints of a Cloud Service. With endpoints defined, we can then proceed to modify the code. The code for the method ProcessInputNetworkStreamAsync above is as follows. You may wonder what I am doing above with ConvertHexadecimalByteArrayToString and ConvertStringToHexadecimalByteArray methods. They are needed because the packets used in the TCP protocol of the device is in hexadecimal. There is a very interesting discussion about how to do the conversion on Stack Overflow, so I won’t repeat it here. The code above is only handling one port. Unfortunately, the IoT device doesn’t send over the IMEI number or any other identification number of the device when the actual data pack is sent to the server. Hence, that means if there is more than one IoT device sending data to the same port, we will have no way to identify who is sending the data at the server side. Hence, we need to make our TCP Listener to listen on multiple ports. The way I chose is to use List<Task> in the Run method as shown in the code below. This turns out to be the biggest challenge in using Worker Role. After receiving data from the IoT devices for one or two days, the server was not recording any further new data even though the devices are working fine. So far, I’m still not sure about the cause even though there are people encountering similar issues as well. Hence, I have to find a way to automatically restart the Worker Role for me. Thus, I decided to use PowerShell script to reboot the instance. There is a sample code on Microsoft Technet Gallery – Script Center which does similar thing. 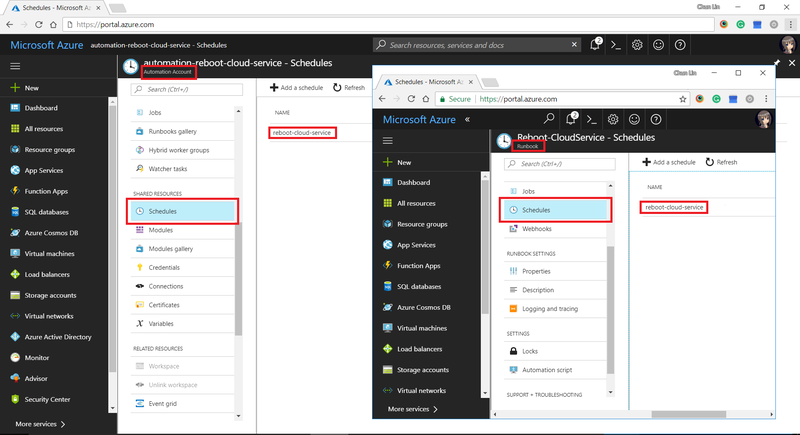 I proceed to use Azure Automation which provides Runbooks to help handling the creation, deployment, monitoring, and maintenance of Azure resources. The Powershell Workflow Runbook that I use for rebooting the worker role daily is as follows. $cloudServiceName = Get-AutomationVariable -Name "CloudServiceName"
$workerRoleInstanceName = Get-AutomationVariable -Name "WorkerRoleInstanceName"
$myCredential = Get-AutomationPSCredential -Name "Chun Lin"
Write-Output "Restarting for cloud service: $cloudServiceName." In case you wonder where I defined the values for variables such as AzureSubscriptionId, CloudServiceName, and WorkerRoleInstanceName, as well as automation PowerShell credential, there are all easily found in the Azure Portal under “Share Resources” section of Azure Automation Account. Providing credentials and variables for the Runbook. After setting up the Runbook, we need to define schedules in Automation Account and then link it to the Runbook. Setting up schedule and linking it to the Runbook. 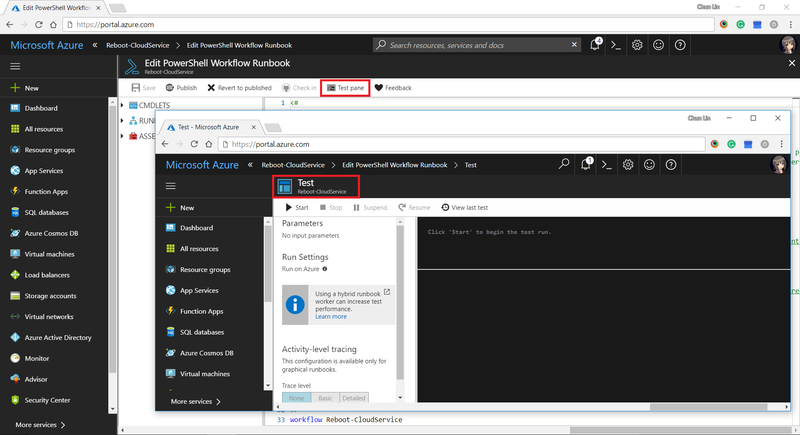 There is another tool in the Azure Portal that I find it to be very useful to debug my PowerShell script in the Runbook. It is called the “Test Pane”. By using it, we can easily find out if the PowerShell script is correctly written to generate desired outcome. Test Pane available in Runbook. 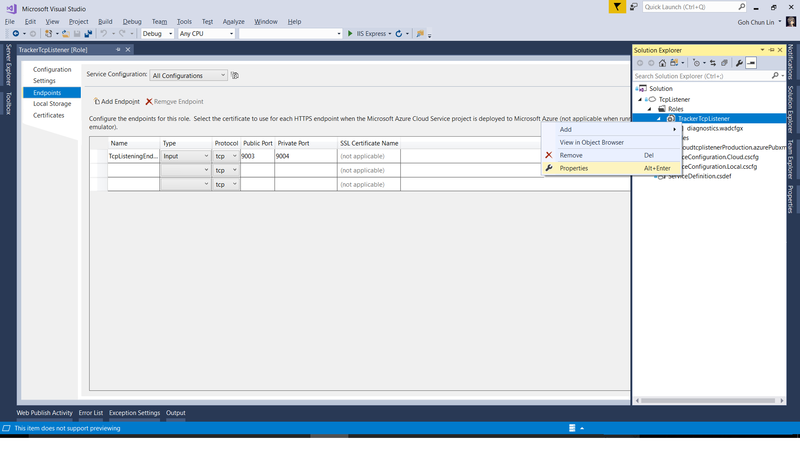 After that, we can easily get a summary of how the job runs on Azure Portal, as shown in the following screenshot. Job Statistics of Azure Automation. Yup, that’s all what I had learnt in the December while everyone was enjoying the winter festivals. Please comment if you find a better alternative to handle the challenges above. Thanks in advance and happy new year to you! [Stack Overflow] How can I host a TCP Listener in Azure? Cant set default subscription – throws error? Hi there, thanks for your post its really informative. We’re also running into a similar problem with a device that communicates via Modbus RTU /TCP connection. Did you find any more information about this, are there more reliable ways of listening to TCP on Azure? Can this be achieved using IoT Hub somehow? If I don’t remember wrongly, Azure IoT Hub only supports AMQP, MQTT, HTTP protocols. So I couldn’t make it to support customized TCP connections so far. My team is using VMs instead now. Or if you are interested, you can check out the Service Fabric (https://cuteprogramming.wordpress.com/2018/09/13/tcp-listener-on-microsoft-azure-with-service-fabric/).